19.5″ models are available in both Panel Mount and fully-enclosed Universal Mount enclosures with both NEMA 4 black powder-coat or full stainless steel NEMA 4X (IP65/66) options. 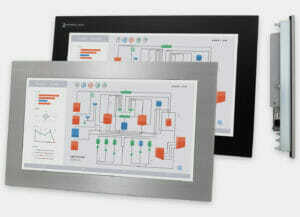 Like our other display products, users may select from resistive touch screen, safety glass, or acrylic window options. Power options include AC or DC (9.6 to 36.6 VDC). All models are also available for use in hazardous locations (Class I, Division 2 for Groups A, B, C, D; Class II, Division 2 for Groups F, G; Class III; Temp Code 4A). Like all our display products, these new displays feature our industry leading 3-year warranty. 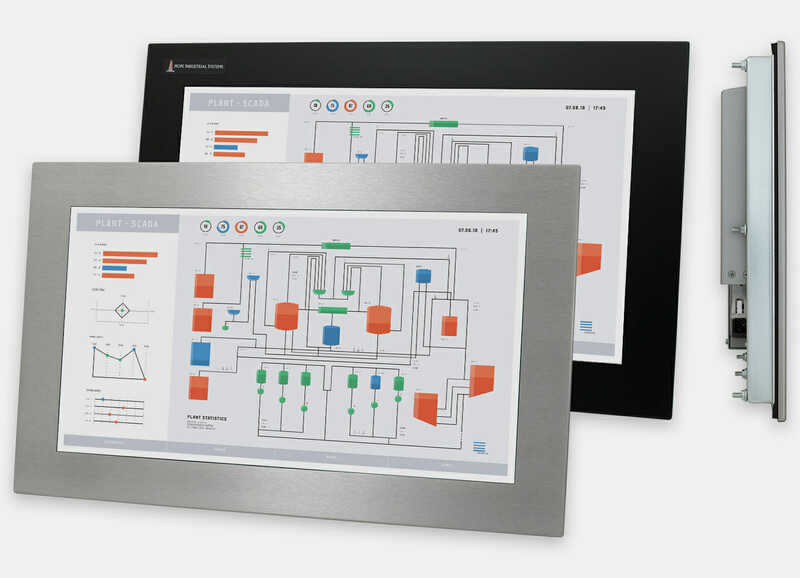 See our 19.5″ Panel Mount and 19.5″ Universal Mount display pages for full details.